BOSTON, Massachusetts — The next time you are in a store, a question like, “Paper or Plastic?” will not be heard. Here is why. It is almost the holiday season, and the city enacts a plastic bag ban effective one month from today, on December 14 – just in time for the holiday shopping. Single-use plastic bags will not be handed out to shoppers; moreover, shoppers need to bring their own bags or pay a minimum of 5 cents to buy the store’s bags which will be reusable. The commissioner of the city’s Inspectional Services, William Christopher Jr., believes that it is a cultural change as people are used to not bringing bags to a store. In addition, city councilors and the Walsh administration said the plastic bag ban will contribute a significant support for the city’s solid water waste and recycling systems. In contradiction, the president of the Retailers Associate of Massachusetts, Jon Hurst, said the ban is unfortunate and not pro-consumer. He stated that the banning conversation among retailers turned from opposition to mitigation of harm for sellers and customer. According to him. A statewide law is needed for consistency. Businesses with more than 20,000 sq. ft.
By July 1, 2019, the ordinance must be complied with by businesses. 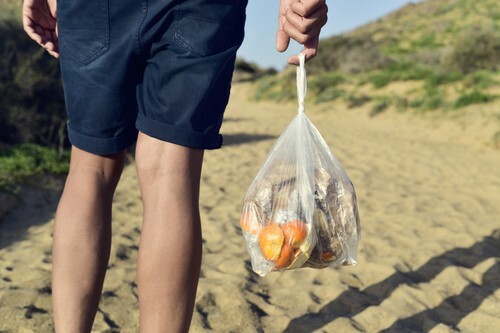 Additionally, not every type of plastic bag is forbidden to use. Those that are used by dry cleaners and those which are used to pack meats, frozen foods and newspapers are excluded.